Okay, I know that you can’t take a Neanderthal to lunch. They are all dead. But it’s the thought that counts. And it’s the right thought. I feel great guilt, for I too have used the term in a pejorative manner. Why guilt? Because many of us may owe Neanderthals a debt. They may have played a significant role in boosting the immune systems of humans whose ancestors were from Eurasia. They deserve more than our scorn. Lunch, at minimum. Scientists in Germany analysed the genes of both modern humans and our ancient relatives to find the source of changes in our immune system’s genetic blueprints. 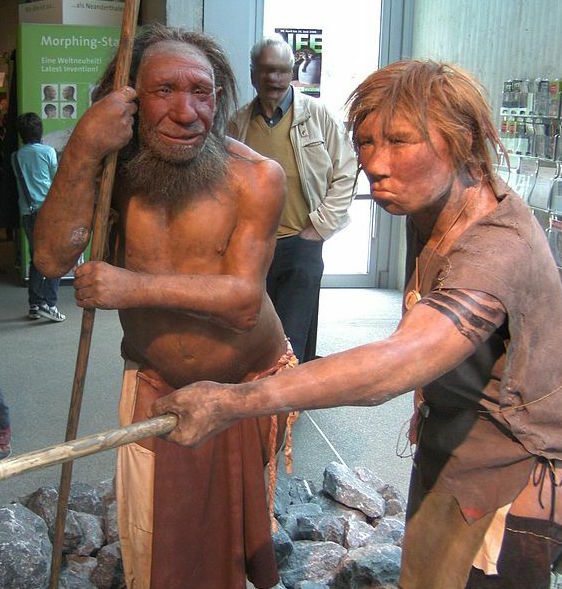 They found some of the fragments of Neanderthal DNA in humans alive today play a key role in the immune system as the front line of defence against pathogens such as bacteria, fungi and parasites. “The evidence suggests that this genetic region contributes to the immune system of modern day humans,” Dr Michael Dannemann of the Max Planck Institute for Evolutionary Anthropology in Leipzig, Germany, told BBC News. “At some point in history it might have been an advantage to have these Neanderthal genes in terms of fighting off infections or lethal pathogens from 10,000 years ago. Every process we go through could be said to increase our chances of survival if we believe in natural selection. What we can never know is how we would have fared if things had been different.